William has served Christian Life College since 1987, when he began a ministry and teaching classes part time. 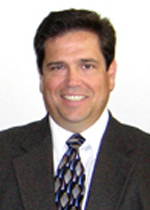 William’s prior experience was in commercial banking, specializing in small business loans. In 1997, he was made Chief Financial Officer of the College, and, in 2001, he was elected Treasurer of Christian Life Center. Out of these fields of business—banking, college administration, finance, and non-profit church administration—Dr. Riddell brings a valuable contribution to the Business Program, offering broad experience that touches both upon church administration and upon business finance and entrepreneurship through direct experience. William Riddell has a BS in Business, with an emphasis in accounting at California State University Stanislaus and his MBA at the University of the Pacific. He completed his doctorate in communication in 2009 at Regent University, and is currently completing his Masters in Biblical Theology at Regent. Tamara began her pursuit of a degree in Business in 1982, and graduated from Sacramento State University in 1989. In 1985, she started her own business. An intense interest in Business, entrepreneurship and law propelled her to pursue her MBA in 2000 and later a Juris Doctor in Law in 2013. Tamara also earned her degree in Music Management with a concentration in voice in 2007 after attending Sacramento State University with her husband Kenneth Fitzpatrick. Tamara has taught children and youth choirs for several years using Kodaly concepts and Kindermusik. She has been an instructor at Christian Life College since 2013. She and her husband Kenneth have one daughter named Kara. 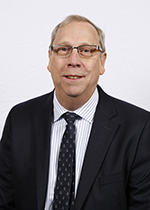 While working in the grocery business, at the age of 17, James enrolled in Western Apostolic Bible College (WABC), graduated with a Bachelor of Arts Degree in Theology, and was part of the last class that had the privilege of having Clyde Haney for an instructor and president of WABC – now Christian Life College (CLC). Since then, James worked several years in business retail. In 2006, he was selected as a Human Resource Manager and has since been responsible overseeing six different companies with multi-state operations. James received his education and obtained a B.A. in Behavioral Science with a minor in Criminal Justice and later completed his M.B.A. with a specialization in Human Resources Management. James is also certified as a Senior Professional in Human Resources (SPHR). He presented and published his M.B.A. project, “Fishers of Men: Recruitment & Retention, a Winning Strategy” at an International Business Convention sponsored by the University of Hawaii. James is currently pursuing a his law degree through Humprey’s Business College. A lifelong student of the human condition, Chris holds an MA in Leadership studies from Saint Mary’s College of California and was valedictorian of the Christian Life College Class of 1982. In 2011, Chris retired from the San Joaquin County Sheriff’s Office as the Support Services Division Commander while also serving as the Personnel and Training manager for the 800+ employee agency. During his law enforcement career, he served as a dispatcher, a jailer, a beat cop, in community policing, as a supervisor of both civilians and peace officers, a manager and an executive. His most beloved assignment was as a crisis/hostage negotiator. He still stays in touch with negotiators, training and mentoring both veterans and novices in the deliberate practice of communicating with folks who are in crisis. Upon retirement, Chris formed Summit Solutions Consulting with the mission of providing support for organizations and individuals who wish to foster an environment of safety and personal and institutional growth. Chris has over twenty-five years’ experience as a consultant, course developer, instructor, and seminar presenter in management science, and has presented management training to government officials, agency managers, and private industry managers and supervisors in the United States, Canada, and Saudi Arabia. As a Senior Consultant and Subject Matter Expert, he provides training in Supervision, Leadership, Strategic Planning, Team Building/Re-Building, Crisis Management, Threat Management, and other related management science concepts. Chris is a student, practitioner and instructor of the art and science of leadership, from leading groups of people via influence and authority, to assisting executives in forging paths for organizational success, to mentoring individuals as they learn to lead themselves in analyzing and executing personal life choices. Chris is a Certified Threat Manager and holds instructor certificates in Management of Aggressive Behavior (MOAB), Tactical Communication, and Emergency Management. He is President of the Northern California Chapter of the Association of Threat Assessment Professionals (ATAP) and a past member of the State Board of the California Association of Hostage Negotiators (CAHN). He is a member of the Leadership Stockton Class of 2007. 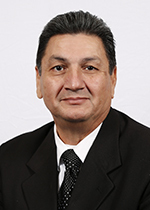 Michael Muniz vocational, administrative, and educational experience extends from 1972, where he served in the United State Navy, working on numerous projects, including nuclear power submarines as a journeyman electronics technician. In1986, he served as superintendent of the Christian Education department at Christian Life Center, Stockton, CA but also served as pastor of a satellite congregation, the CLC Lighthouse. During these years he continued to pursue formal training through Christian Life College, where he graduated in 1994, earning a Bachelor of Arts degree in Biblical Studies and an Associate of Arts degree in Christian Education. He was appointed as an Associate Missionary in the Federated States of Micronesia from 1996-2002. While serving as an associate missionary in Guam, Muniz organized and directed a Christian School for United Pentecostal Church of Guam. After their return to Stockton, he was certified through the State of California (BPPVE) and served as a lead instructor for National Training Institute Business College from 2002-2005. He was instrumental in the curriculum development for their business training program. Michael Muniz completed his Bachelor of Science in Business and Management (2009) and Master of Business Administration (2011) through the University of Phoenix. From 2009 to 2012, He served as the Project Manager in Emergency Preparedness and Response for Solano County Public Health in Fairfield, California. Currently, he is serving an adjunct instructor at Christian Life College from 2014 to present. Michael is married to Rebecca G. Muniz for 44 years and has two daughters and one granddaughter. Michael’s favorite past time is reading historical documents, genealogy, and trout fishing in the High Sierra Mountains.